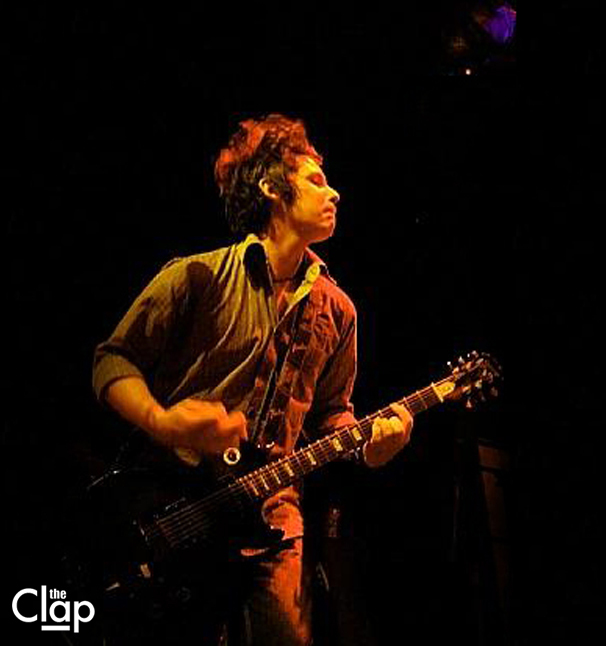 Formed in April 2012, the Clap are a 5-piece rock band from Dublin. Brothers, Cathal, Dara & Donal Melinn play piano, guitar and drums respectively, Daniel Knowles plays bass with Simon Moore on vocals. We are influenced by Tom Waits, Nick Cave, Faith no More, Jefferson Airplane and Frank Zappa. The band has performed on Radio NOVA a number of times with many of the DJs admitting to be fans of the Clap. We try to combine good lyrical writing with interesting music, for the most part avoiding clichés. After hearing us live or our EPs, people have said that they feel we write intelligent music. We also like to have fun with music, hence the name, the Clap. We put a lot of time into writing and playing music but like to insert humour where possible. So far, we’ve built a catalogue of over 20 original songs in less than 8 months. Tracks range from upbeat rock songs to sea shanties and alt country tunes. 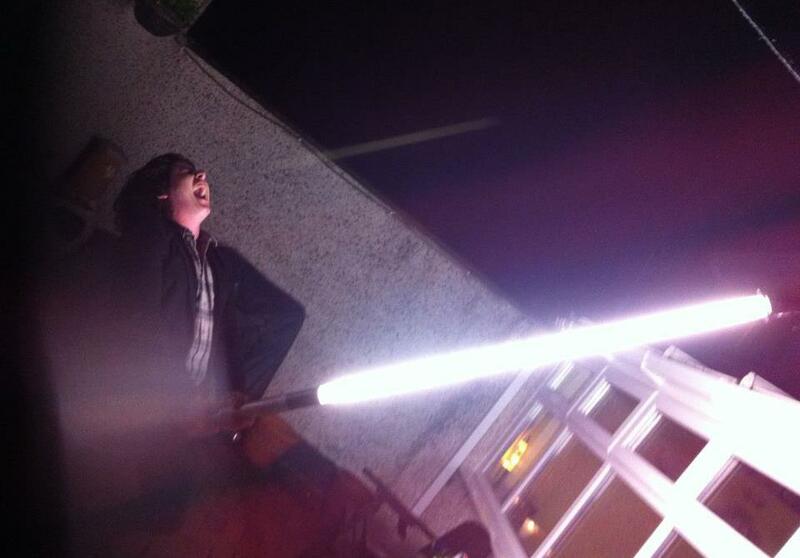 Guitarist, Dara Melinn, recreating a scene from Mel Brooks’ sensational 1987 film ‘Spaceballs‘. Each member had been playing in various bands in the Dublin music scene for a number of years until we decided to form the Clap. To date, we have gigged a number of times in in the Button Factory, the Thomas House, the Mezz, the Sweeney Mongrel, Cassidy’s and Eamonn Doran’s on the Green.